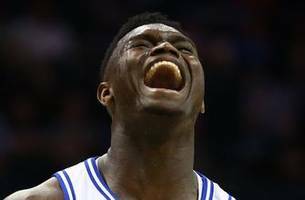 Zion Williamson's return last night in the ACC Conference Tournament against Syracuse reminded everyone that he is a dominant force on the basketball court. 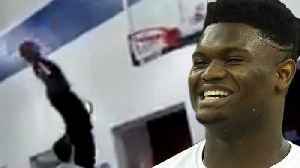 Hear why Colin Cowherd believe's Zion's dominance will carry over into the NBA and his game will change the landscape of the league. 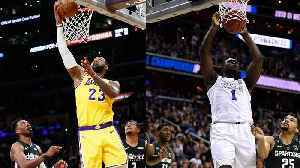 Even though LeBron James is taking a break from Team USA in 2019, he still might return for the 2020 Tokyo Olympics. 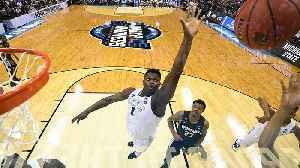 SI Now's Robin Lundberg and Amy Campbell wonder if James or Zion Williamson would be..
Duke legend Chrsitian Laettner joins SI Now to discuss how he thinks Zion WIlliamson will perform in the NBA and who he sees the potential No. 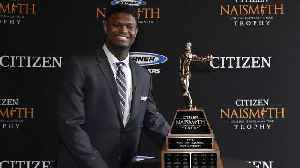 1 pick emulating at the next level. 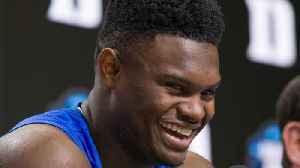 Zion Williamson has joined Anthony Davis and Kevin Durant as the only freshmen to win the Naismith Men's Player of the Year Award. 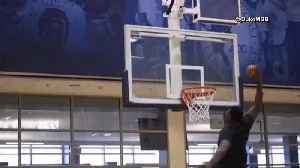 The 6'7 285 lb freshman phenom Zion Williamson goes to the rim and almost shatters the backboard during a pick up game on Tuesday. 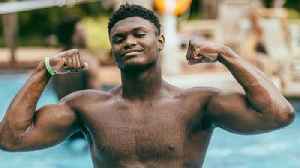 Zion Williamson never seems to take a break unless you count breaking..
Zion Williamson is widely expected to be the No. 1 pick in the NBA draft. 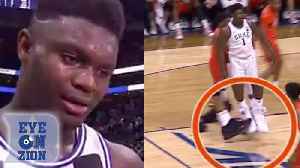 Now that Duke has been eliminated from the NCAA Tournament, Zion Williamson is one much-anticipated step closer to the NBA. 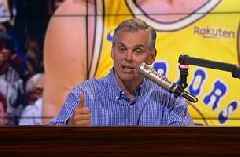 Although Zion hasn't officially declared for the draft yet, SI Now hosts..